The Occupation Safety & Health Administration is reminding New England employers of the dangers of Boston work accidents, and work injuries elsewhere in the Northeast, that can result from winter weather and snow removal. Our Boston, Massachusetts workers compensation lawyers and premise liability attorneys understand the risk of serious or even fatal injuries that winter weather, icy and snowy parking lots and walking surfaces, and other winter conditions can bring to employees and customers alike. -Electric shock from downed power lines or underground equipment. -Being struck by trees or other structures that collapse beneath the weight of snow. -Chainsaw accidents or accidents involving snow blowers and other heavy equipment. -Falls from roofs, lifts or ladders. -Carbon monoxide poisoning from generators, heaters and other power equipment that is not properly ventilated. -Falls from snow or icy walking surfaces. 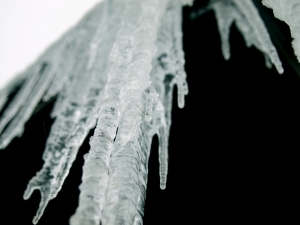 -Hypothermia, frost bite and other injuries from cold exposure. -Coordinate downed power lines with utility companies. -Use caution around surfaces weighted with snow. -Make sure electrical equipment is properly grounded and gas-powered equipment is properly ventilated. -Wear appropriate eye and body protection. -Clear walking surfaces of snow and ice and use salt or its equivalent where needed. -Establish clearly marked work zones. -Wear clothing appropriate for weather conditions, take plenty of breaks. Information on safe cleanup after severe weather is available here. If you have been injured in a Massachusetts work accident or construction accident, contact Boston Injury Attorney Jeffrey S. Glassman for a free and confidential appointment to discuss your rights. Call 877-617-5333.